The bad news: Valdez just closed to renovate and move. 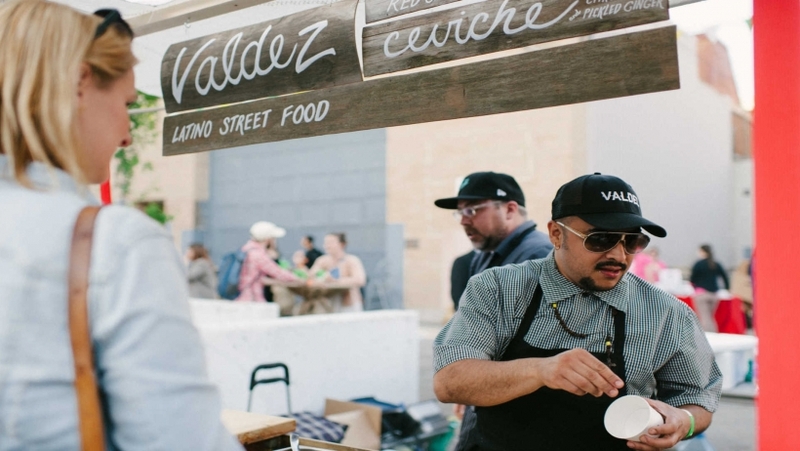 The good news: Chef Steve Gonzalez is taking his Latino street party on tour, with a stop at night two of this year's Night Market. On his menu this year is a must-try Choripan. If you're missing the house made chorizo from Valdez, have no fear as this dish has it alongside some slaw. 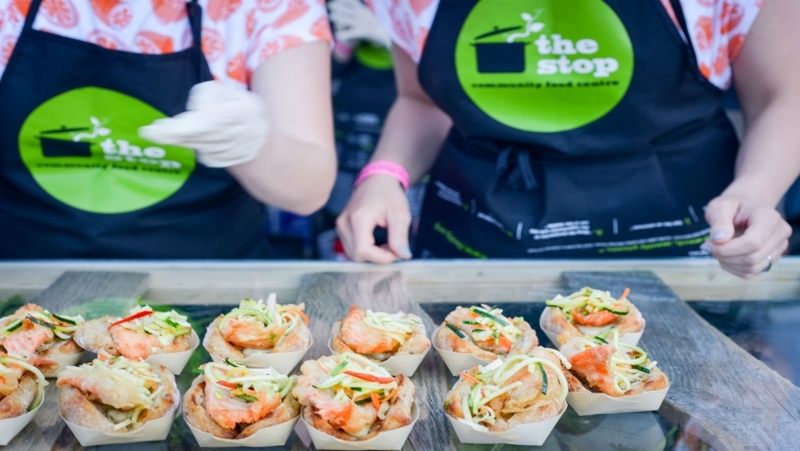 The Night Market veteran tells us, "I love doing the Stop Night Market and have been doing it for like 3 years now. For me, it's an opportunity to get out of my kitchen and hang/cook with some of my friends and colleagues for a good food cause." If Richmond Station (owned by Top Chef Canada winner Carl Heinrich and Ryan Donovan of West Side Beef) is on your must-try list but you still haven't made it to the restaurant, now's your chance. On night two, Richmond Station will be serving up perfectly Instagrammable (and delightfully portable) vegetarian shawarma. Donovan, another repeat Night Market vendor, says "Each year I hear people around me whisper, 'this city should have a set-up like this all the time.' It remains a special night, a unique evening that happens predictably, habitually... It's almost spiritual." Ready to get your slurp on? 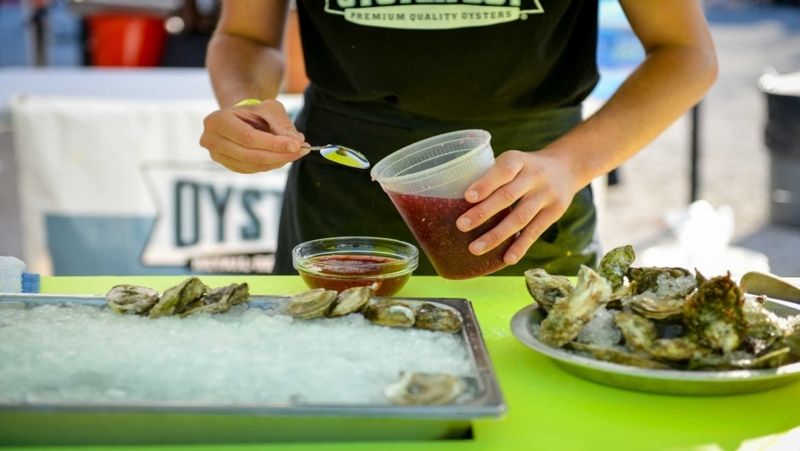 Known for providing Toronto with the nation's finest selection of oysters, Oyster Boy will be on-site serving up freshly shucked Malpeques from Prince Edward Island to Night Market guests. 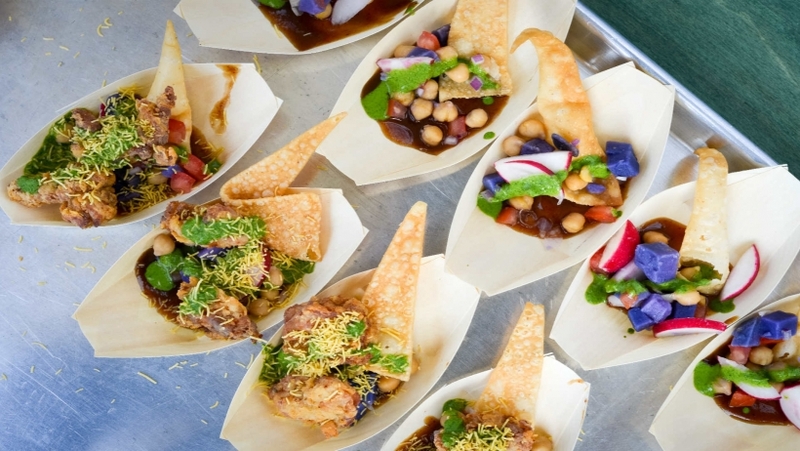 Participating for their third year in a row, Alex Tso and Melanie Harris of Dundas Park Kitchen are focusing on handheld street food this year. They're serving up crispy polenta cake garnished with refried bean sauce and crema, served alongside their signature side salad. Tso is one of The Stop's biggest supporters. "Prior to starting Dundas Park Kitchen, I was able to spend time working for The Stop's event catering/social enterprise division, as well as to volunteer at their lunch drop in program," he says. "I saw how efforts by culinary professionals could immediately impact the way the Stop CFC was able to operate. 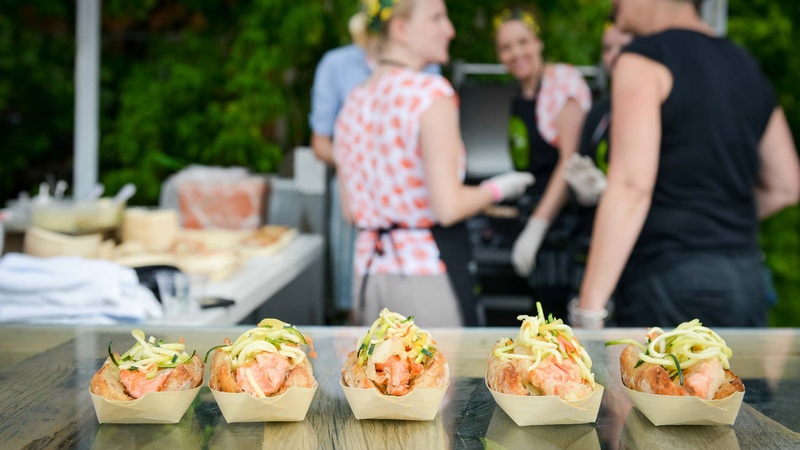 For me, I enjoy contributing to a night that raises over $200K a year for a cause that is relevant to me, both as a chef and as a business, in Toronto's hospitality industry." On night two of the market, Chef Rocco Agostino will be featuring one of the restaurant's most popular dishes: gnocchi fritti. This light, ricotta-based gnocchi is finished on a bed of spicy ndjua sauce. Anyone who's tried it will confirm that this one is not to be missed. 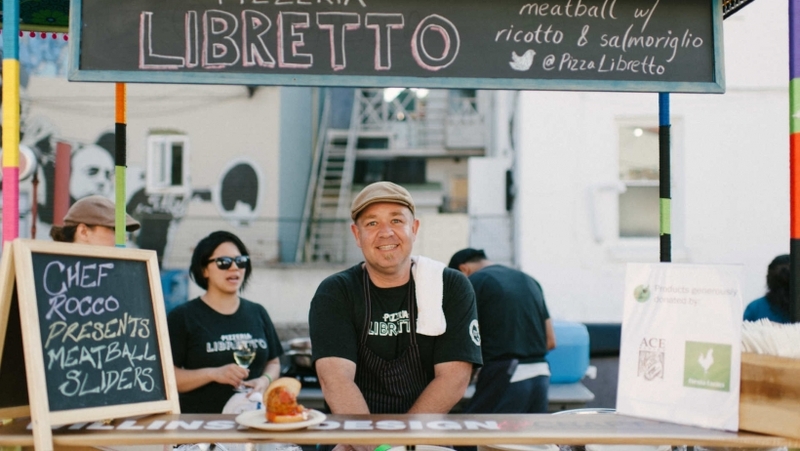 So why does Chef Rocco bring his Pizzeria Libretto team to The Stop's Night Market each year? "It is easily one of my favourite events," he says. "From the transformation of an inner city landscape, to the collection of fabulous chefs and restaurants, to the music that carries you into the late night air. The event is fast-paced, fun and also raises money for an incredible community program. Giving back through food is my favourite thing to do!" Since 2001, The Stop Community Food Centre has been bringing together people from the Davenport area with their community cooking and kitchens. This program is just one of the reasons why the Stop Night Market is so important each year: nearly 100% of funds raised go back to the organization. 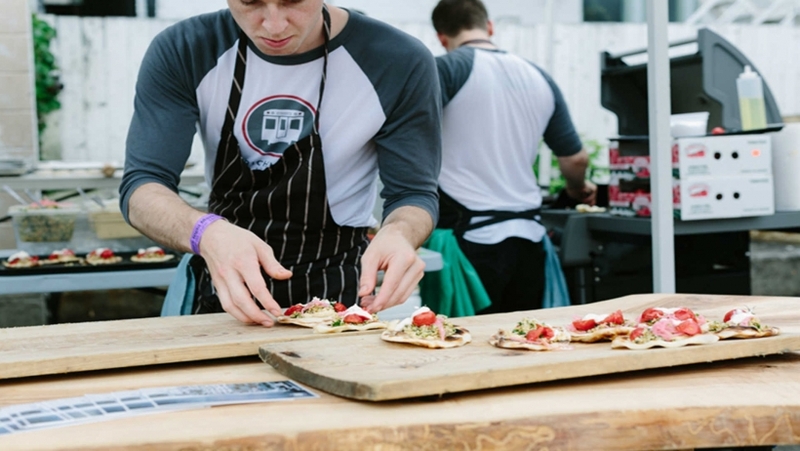 For this year's Night Market, Scott MacNeil (Community Chef for the Stop Community Food Centre) will be making and preparing a trout gravlax on a rye cracker—served with a root vegetable puree—as their dish of choice. Stop by for an example of the types of programming that operate year-round at the food centre.